Jaguar automobiles have been cultural icons for nearly a century, and the 2013 Jaguar XJ carries on with contemporary design, impeccable craftsmanship, modern amenities and sparkling performance. As such, it more than qualifies as a viable and appealingly contrarian alternative to the established luxury flagships, the Mercedes-Benz S-Class, BMW 7 Series, Audi A8 and Lexus LS. The suspension on the xjl supercharged rides like a dream. 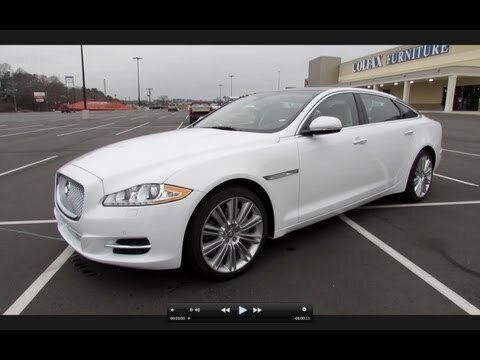 My jaguar xjl 2013 supercharged version is a beautiful luxury vehicle, the long wheel base & powerful v8 engine is amazing. It gives you what you pay for from a used car perspective. The one thing that bothers me is the technology is a little behind today's tech but you can't blame the car for that. Blame the maker for not giving the car a system that could be updated. I only have 45, 000 miles on it but I've had it since it was new & driven it across the country. MI to cal. Sleek sports car with great pick up. My car is very sporty and sleek. Rides well with great pick up. The back seat is very long which is great when your daughter is 15 and 6 ft tall. Bought is used with very few miles and in great conditions. Needed some cosmetic fixes but nothing mechanical.